Israeli Stage Presents Savyon Liebrecht’s "Apples From The Desert"
Of Savyon Liebrecht’s "Apples From The Desert"
Israeli Stage and Producing Artistic Director, Guy Ben-Aharon have announced a six-stop New England College Tour of award-winning Israeli writer Savyon Liebrecht’s "Apples From The Desert." Performances are scheduled from March 17 - 28 . Sponsored by the Israel Campus Roundtable and Combined Jewish Philanthropies, the tour allows Israeli Stage to present Israeli culture to new audiences in universities in and around Greater Boston. Having begun Israeli Stage in November of 2010, Ben-Aharon hopes to fuse pre-conceived notions of Israel with the realities of Israeli culture in order to create an innovative theatrical experience for the Boston community and beyond. Over the past year, Israeli Stage has presented six staged readings with Elliot Norton and IRNE Award winners Will LeBow, Thomas Derrah, Jeremiah Kissel and OBIE-Award winner Melia Bensussen, the majority of which were performed at the Goethe Institut Boston, with one at Harvard University’s Fong Auditorium and another at Emerson College’s Bill Bordy Theater. "Apples from the Desert" is a romantic comedy about Victoria (Kathleen Donohue) and Reuven (Dale Place), Orthodox Sephardic Jewish parents from Jerusalem with only-child, Rivka (Rebecca Schneebaum). After Rivak learns of her father’s plan to marry her off in an arranged marriage, she runs away from home to live on a kibbutz with a secular Ashkenazi named Dooby (Grant MacDermott). The story then follows the two Orthodox Jerusalem siblings, Victoria and Sarah (Sheila Stasack), as they set out on a mission to retrieve Rivka. With a hope-filled spirit, Savyon Liebrecht sketches the life of a young Israeli woman who falls under the shadow of terrifying social rifts -- the ethnic rift between Sephardi and Ashkenazi Jews and the religious rift between religious and secular society. By the end of the play, Liebrecht enables the audience to discover the possibilities embodied in both a future that transcends these rifts and a time and place where women are free to choose their religious commitments and love interests. Savyon Liebrecht was born in Munich, Germany, in 1948, to Holocaust survivor parents. She studied philosophy and literature at Tel Aviv University and started publishing in 1986. She has since published six collections of short stories and novellas and two novels. Saturday, March 17, 8 p.m. Hosted by M.I.T. Hillel, in association with MIT Center for International Studies. Sunday, March 18, 5 p.m.
Brown University’s "Underground" in the Faunce Student Center. Hosted by Brown U/RISD Hillel and Mid-East Studies Department at Brown. 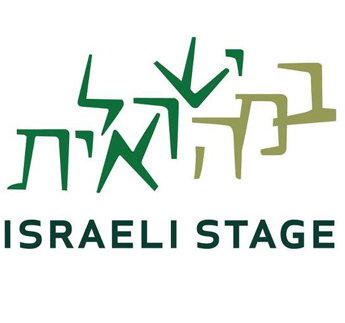 Thursday, March 22, 7:30 p.m.
Friday, March 23, 8:30 p.m.
Wednesday, March 28, 7:30 p.m.
For more information about the tour, visit israelistage.com.